I’ve been posting a lot of recipes lately and today I’ve got something that will knock your socks off. 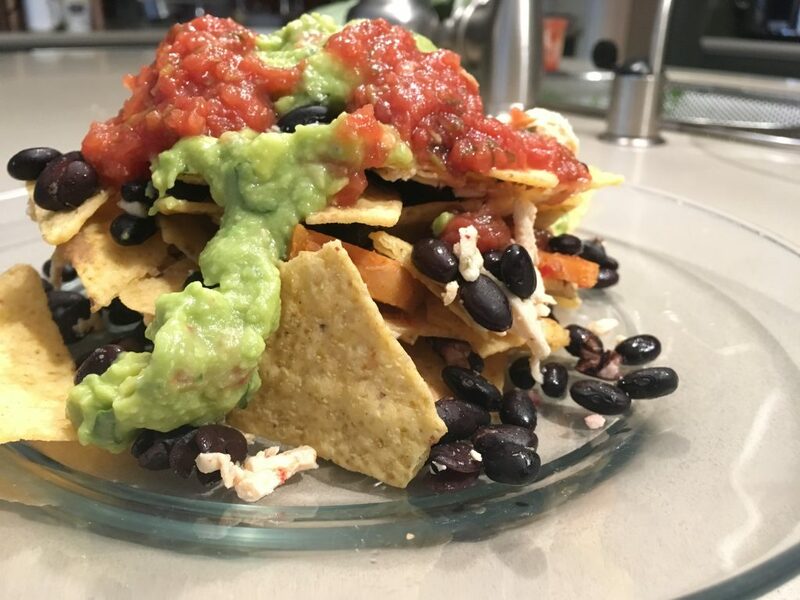 Trashcan nachos. Now, this idea I got was inspired by Guy Fieri from she show Diners, Drive-in’s and Dives. But he eats meat. So I decided to change up his recipe a little and substitute something different for the meat and I thought of Jackfruit. 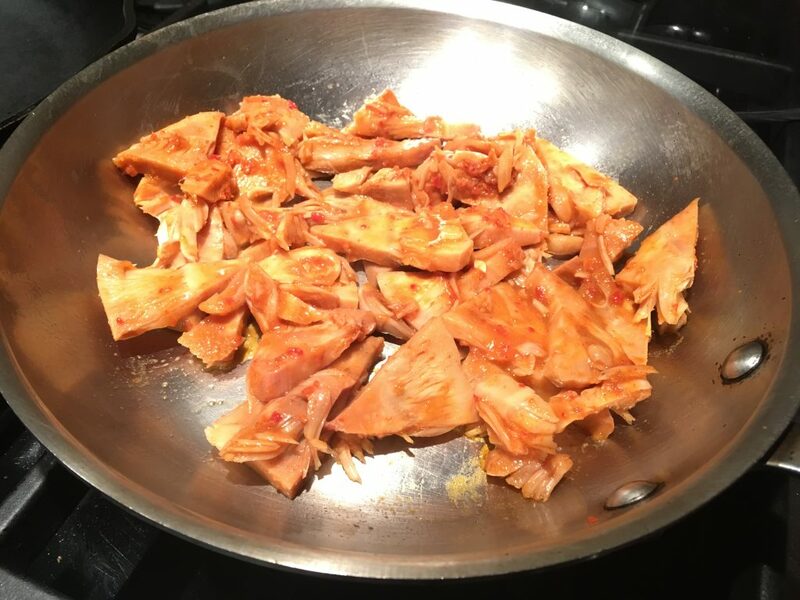 If you’ve never heard of Jackfruit before, from the name it might seem like a sweet juicy kind of fruit, but it is really a fruit that has a texture that is supposed to be kind of like meat and you can season it any way you want and it soaks it in. 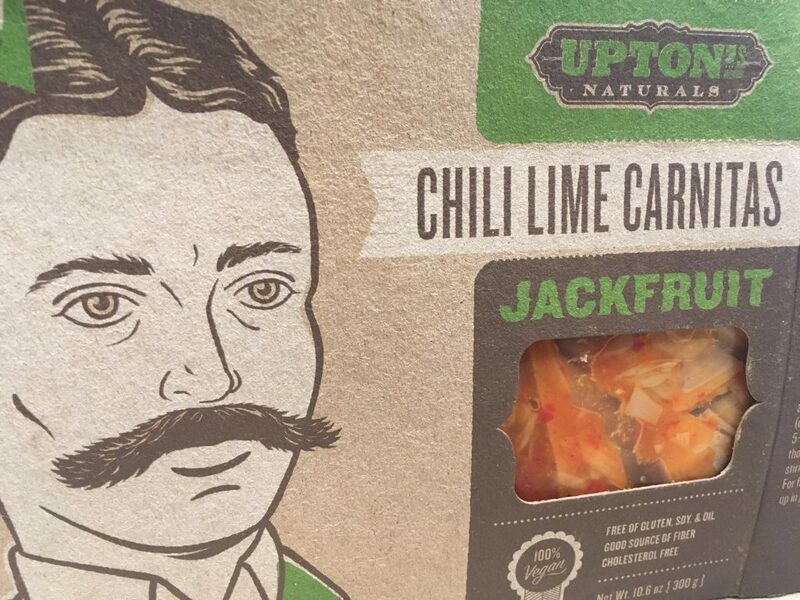 For our recipe we used a ready made Jackfruit product that was flavored “Chili Lime Carnitas” which sounded perfect for nachos. Now I am sure if you see that these are called Trashcan Nachos, you’re gonna have second thoughts about it. 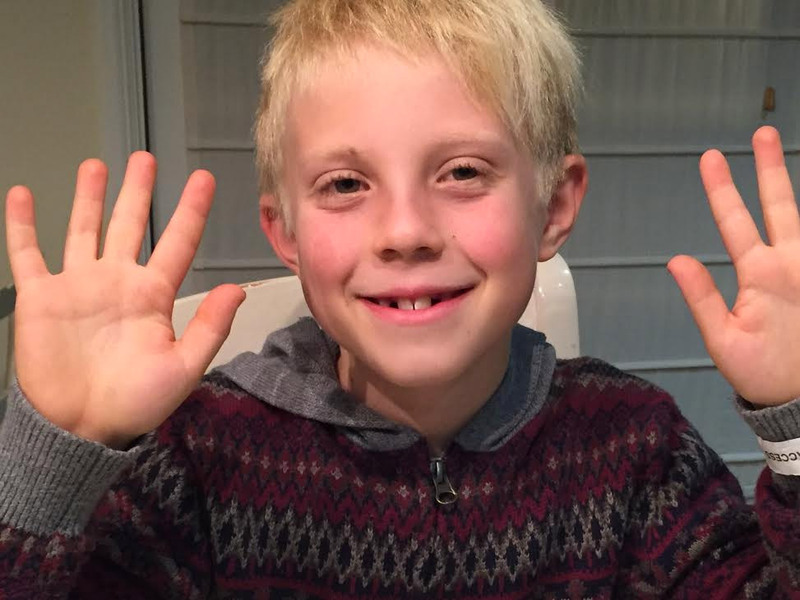 Are we taking scraps from a garbage can and eating them with chips, beans, and cheese? Not exactly. 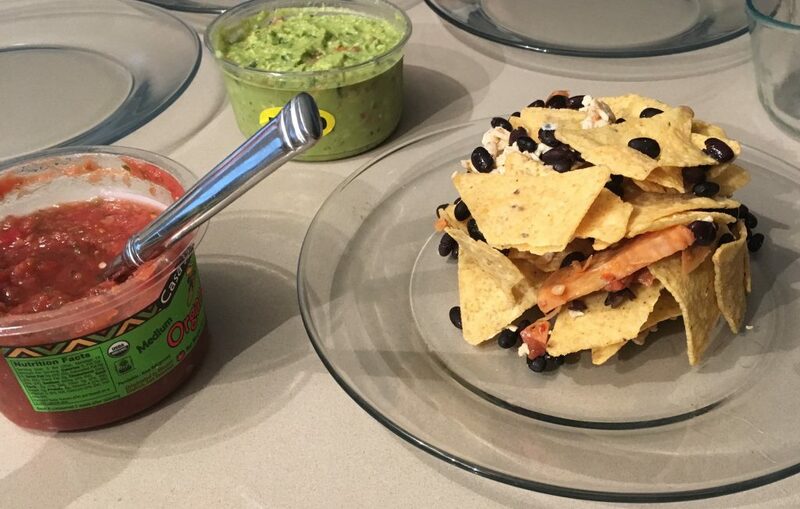 Guy Fieri called his version of this Trashcan Nachos because he used a small trashcan shaped container to pile them up. I didn’t have the same kind of container but we made do with something else and I decided to keep the name! This can be a great snack or even a whole meal like we had it. And one of the reasons you’re gonna like it (if you are a recycling person which I hope you are) is because even if you don’t think you have the right kind of container you probably have something right in your refrigerator you can use like one of those extra large yogurt containers or something. 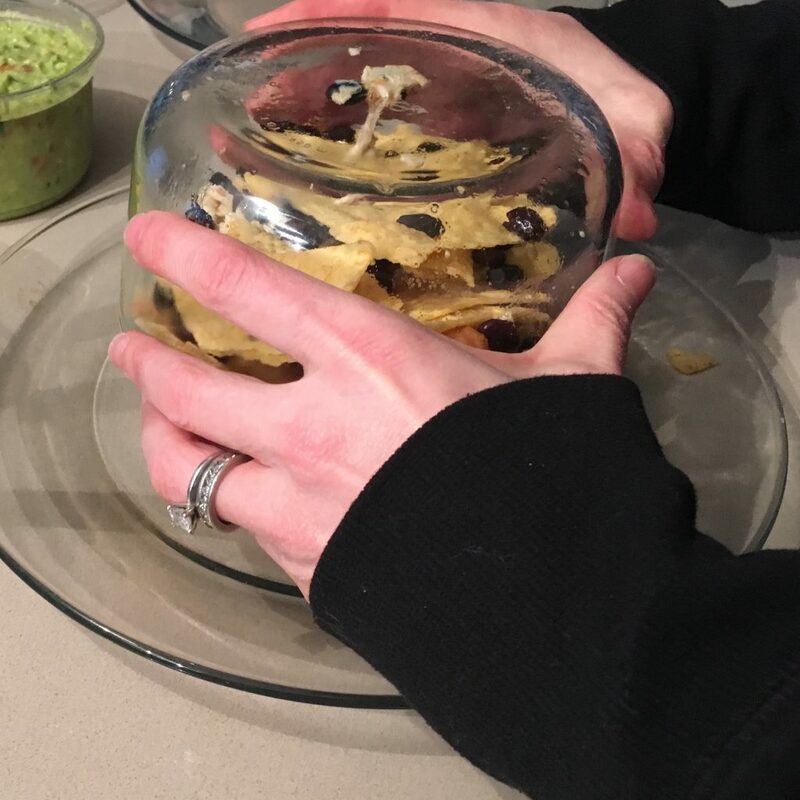 Whatever you use, you wind up piling it into the container, flipping it over, spooning on the garnish of guac and salsa and “Boom” there you have it. The food was super good. The guacamole was very creamy and the juicy salsa made a perfect blend. The cheesy, sticky and tummy warming chips were almost enough to make me full just thinking about it. And the beans add the protein to make this a good dinner choice. The plate is very colorful. Yellow chips. Green guacamole. Red salsa. White cheese. Black beans. Just Beautiful. This is a five star meal in my opinion. Here’s the recipe. I hope you like it as much as I did! This is one of those recipes that you make the quantities up as you go depending on how many people are eating this and depending on your mood!